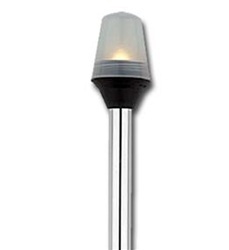 Attwood has improved the world's most successful all-round lights! The new Frosted Globe lights use a standardized lamp that is commonly available in marine, auto, and convenience stores. The new lens has a clean, translucent look and 360° visibility.